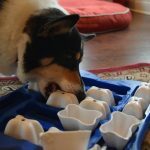 When my corgi Ty was first diagnosed with Lymphoma, one of my biggest challenges was finding appropriate treats for him. 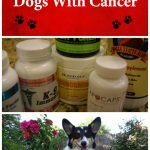 The general recommendation for dogs with lymphoma, and really with any kind of cancer, is to feed a low carbohydrate diet, preferably free of any sugars, grains, starchy vegetables, or high sugar fruits. This is based on the premise that cancer thrives on sugar, so removing sugar and starchy items that convert to sugar in the body will provide less fuel for the cancer. 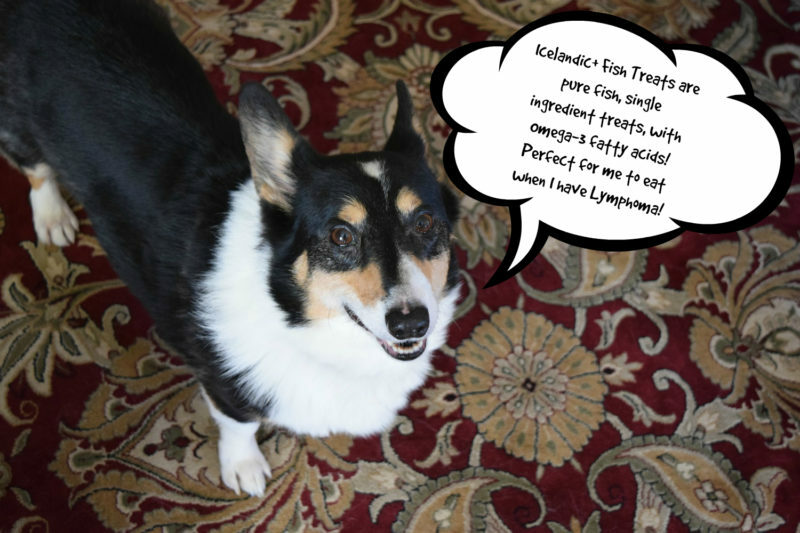 When Ty got sick, he already was on a fairly low carbohydrate diet, but I had not concerned myself much with the ingredients in his treats. I immediately switched him to a nearly Keto diet and then the search for treats began. It wasn’t easy. I was honestly amazed at the number of treats that not only have all sorts of high carbohydrate ingredients, but that even flat out add sugar to the recipe. Honestly, that isn’t good for any dog, much less a dog with cancer. (1) No sugar, grains, starchy vegetables such as peas or potatoes, or an abundance of fruit. Some fruit are great antioxidants, but they also can be high carbohydrate and high sugar. (2) Natural, preferably organic, ingredients. This helps remove concerns about pesticides, herbicides, or chemicals that could affect your pet’s health. 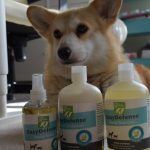 (3) Specifically formulated for dogs. Species specific formulas help assure proper nutrition. (4) Free of chemicals and preferably also free of preservatives (other than natural preservatives, such as Vitamin E). (5) Whole meats. Avoid byproducts, which you will often see listed as “meal” on the label (for example “chicken meal”). This isn’t much like real meat as it is rendered into a powder with a lot of the nutrition cooked out. How is this for a label? 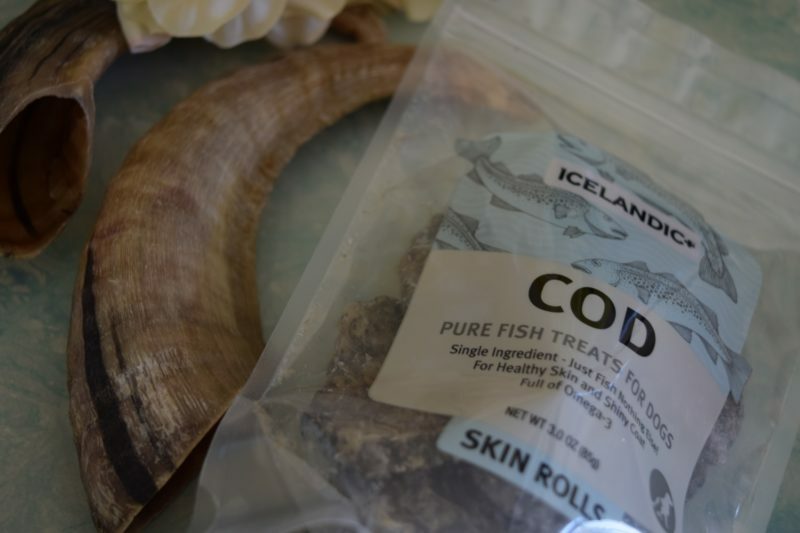 Icelandic+™ Cod Skin Rolls have one ingredient: fish. Plus, Icelandic+ meets the other requirements as well. The company has an in-house physiologist and nutritionist to make sure that their products are healthy, nutritionally appropriate, and safe. The dog treats are formulated to meet their specific digestive, physiological, metabolic, and nutritional requirements. There are no concerns about byproducts either. Icelandic+ only uses the purest, natural, organic ingredients from Iceland. 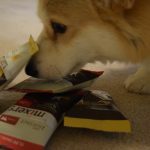 Their dog treats and chews are manufactured within FDA, USDA, EU, and MAST standards and regulations and are made with no additives, fillers, supplements, or preservatives. All ingredients are ethically sourced from Iceland. I was more than happy to break out the Icelandic+ Cod Skin Rolls for Ty and Eve, who were equally excited to try them. Eve really had a hard time waiting while I took product photos. Each treat is a manageable size. Eve wanted those treats now! And she sure did enjoy them. Ty did as well. Both dogs have always liked fish. 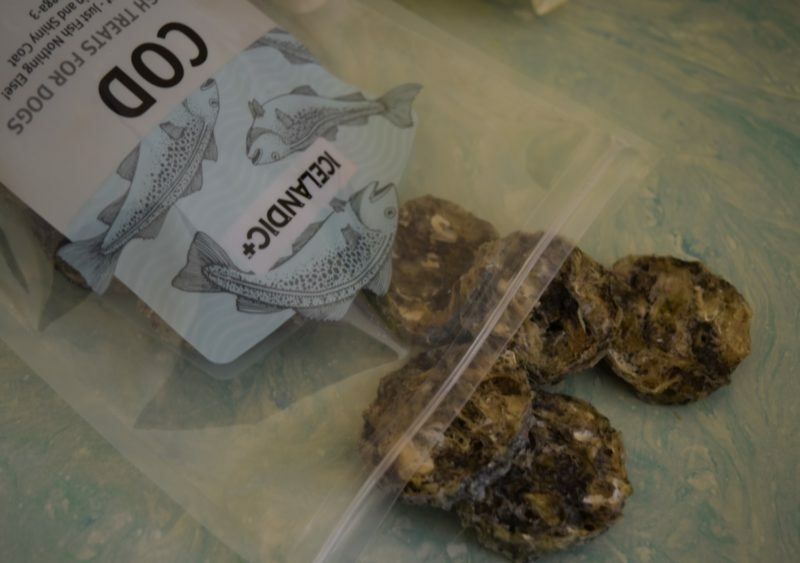 Icelandic+ makes four varieties of Whole Fish Dog Treats: Capelin whole fish, Cod fish chips, Cod fish skin rolls and Redfish skin rolls. Each is 100% pure fish that is caught daily and never frozen. The products are then cleaned and air-dried within FDA, USDA, EU, and MAST standards and regulations. They are 100% edible and digestible, and promote healthy skin and coat with Omega-3 fatty acids. 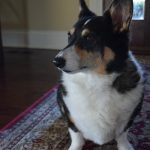 Omega-3 fatty acids are also often recommended as a supplement for dogs with lymphoma, and I like to feed Ty treats and food that naturally contain them. Fish products are great for that. 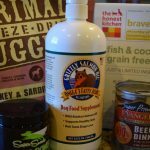 Because each flavor and variety features only one protein source, they are also a great choice for dogs with food sensitivities. Eve has a sensitive GI system, so I can trust these treats to not upset her tummy. Here is an interesting product that also meets everything on the list! Icelandic+ lamb horns are a long-lasting, nutrient-rich chew that reduce tartar and plaque build-up for healthier gums and teeth. 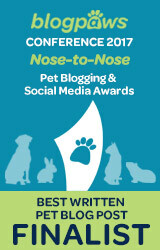 Like the treats, they are 100% edible, 100% natural, and contain no additives, preservatives, or supplements. They are simply single ingredient lamb horns. The horns are cleaned, boiled, and air-dried within FDA, USDA, EU, and MAST standards and regulations, and come in two sizes, small and large. I am rather picky about what Ty and Eve can chew. I require completely natural, fully digestible chews, that are firm enough to last awhile and not so hard so as to break teeth. That means there are no rawhides (can contain toxic residues, are hard to digest, and can cause choking) or antlers (can cause broken teeth) allowed in our house. Until now, we pretty much stuck with some natural bully sticks. But, we now have a new favorite chew because the Icelandic+ Lamb Horns met my requirements and Ty and Eve seriously went insane over them! They absolutely loved them and didn’t want to give them up when I said it was time to take a chewing break. Eve then paced around looking up at where I stashed them, and Ty tried to climb on the table to get them. I had to move them to higher ground. 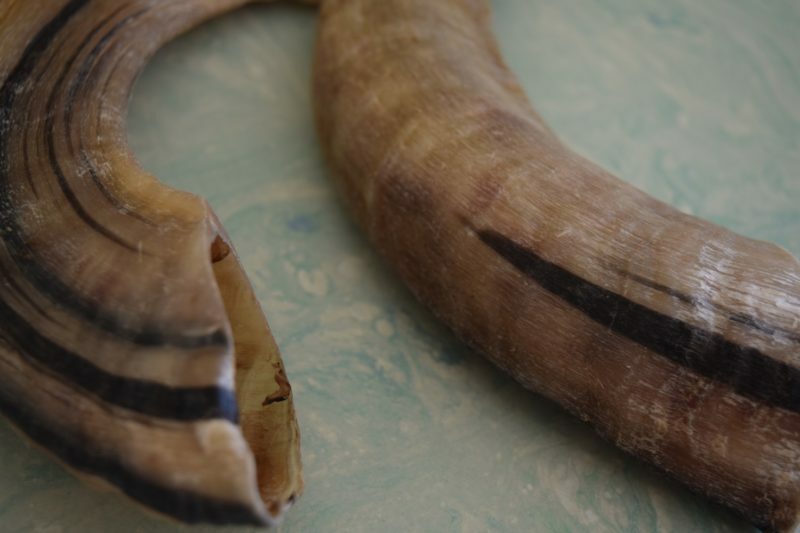 A Note on Lamb Horn and Dental Health, Plus a Cool Tip! Eve in particular needs a good chew for dental health. She has some dental issues and cannot have a regular dental because she is sensitive to anesthesia. Icelandic+ Lamb Horn is a natural chew that helps your dog’s gums to be “brushed” because as it is made of thousands of small fibers. Note that, if your dog’s teeth are not regularly brushed, you may experience some gum bleeding with their first Horn. 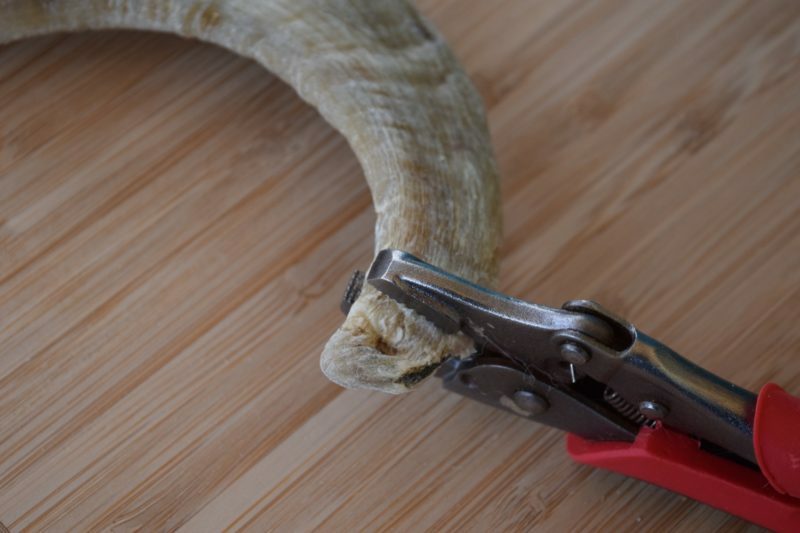 This is natural and is actually a benefit as the Horn’s fibers are “scrubbing” the gum line. With continued use and additional Horns, you can see a remarkable difference in the health of your dog’s gum line and whiter teeth. Think of it by analogy to flossing. People who do not floss similarly experience gum bleeding when they first start, and the bleeding stops when gum health improves from flossing. 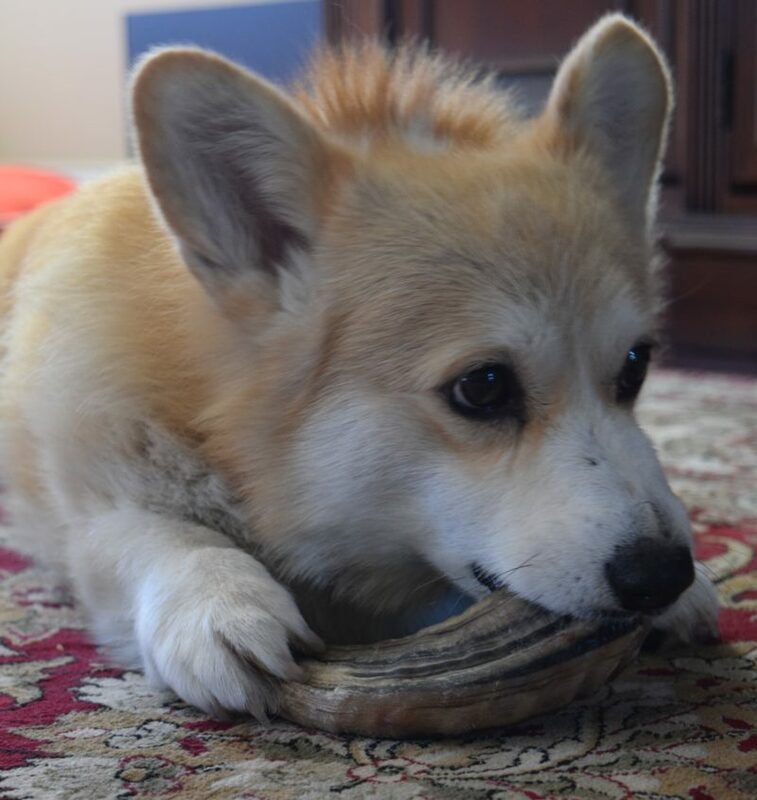 Important: As with all dog chews, take the horn away if it becomes small enough to swallow. Always supervise while your dog is enjoying an Icelandic+ Lamb Horn. I have a good tip if you have a dog that likes to get aggressive and swallow chews whole. Put a vise grip on the end! Then, when the chew gets small, the dog can’t swallow it. I learned this after Ty swallowed several bully sticks nearly whole! Now the dogs always get chews with vise grips attached. Check out the store locator! I really like it when your food contains one thing – THE prime ingredient. For a seriously ill cat or dog finding good tasty (and non harmful) food must be a bit of a mission. I LOVE tour vine tip too! Both of these products sound great. 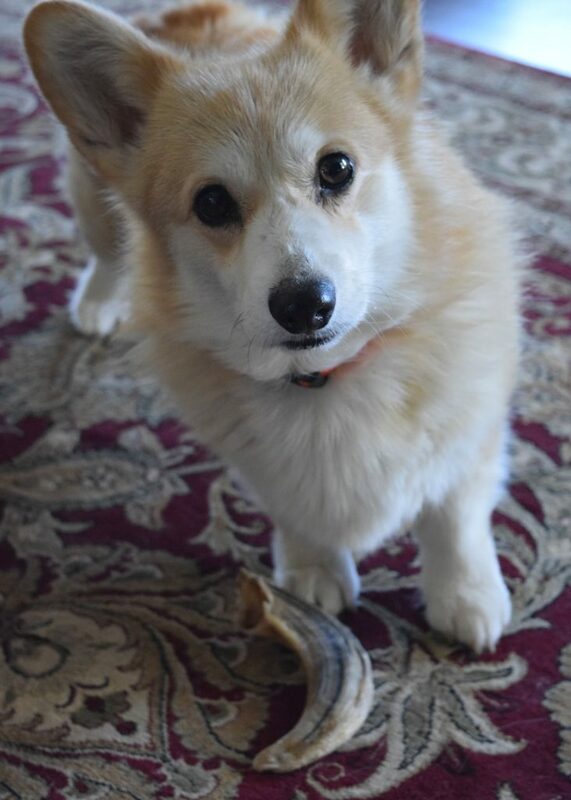 Ruby has some dental issues, too – so the lamb horns sound especially interesting. Love your analogy of flossing and the vice grip idea. I am so sorry about your baby having Lymphoma! 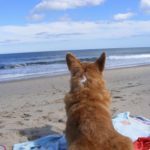 I am glad you wrote about this because many people do not realize dogs get serious health conditions that effect what they should and should not eat just like humans! My Lyla has some dental issues so I am going to get some of the Icelandic treats too! Vice grips on antler chews – what a clever solution to the problem of ingesting broken antlers! But I like the alternative even better – sheep’s horns instead of antlers. 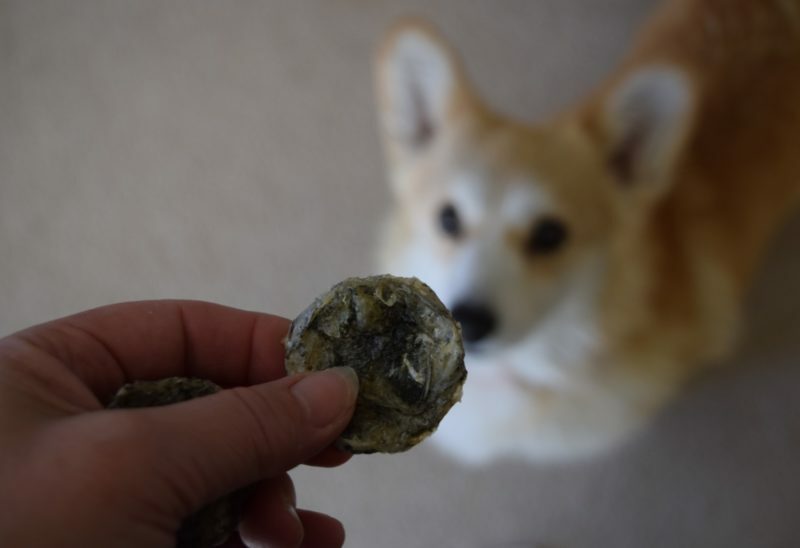 I love the sound of these simple natural treats for Kilo. He loves and needs chews so I’ll have to try to find those lamb horns and I always need to keep an eye on his calories with treats. Sorry to hear about Ty, I know how tough it can be when your pet has cancer. The first thing that struck me was the ingredients that should be avoided when such a diagnosis is made. I’ve had a few cats with cancer and was never advised a change it diet would be important. 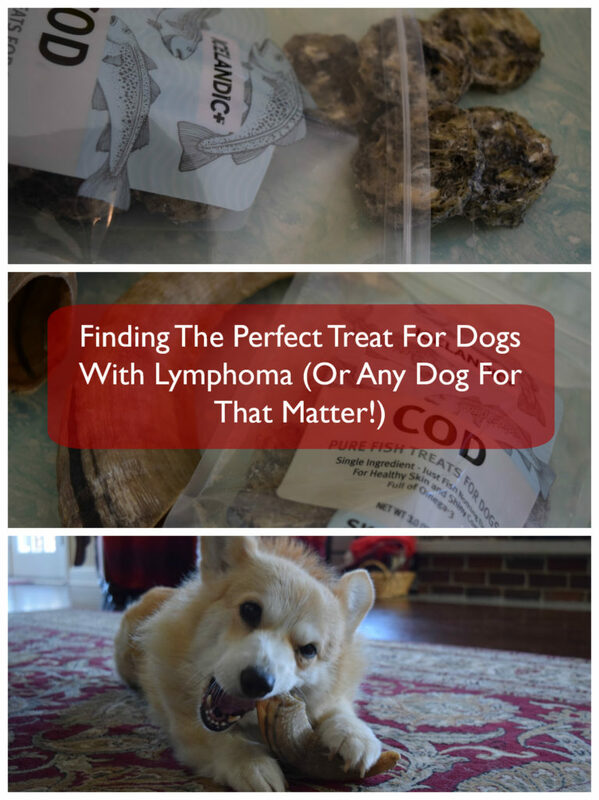 Those treats look amazing and you’re right, not just for dogs with lymphoma. The fewer the ingredients the better I say! Our dog Ginger has food allergies, she’s allergic to almost everything. I have the hardest time finding treats that are safe for her to eat. These look like they would work for her. She is on a fish based diet, we rotate between different species, but the options are limited. Thanks for sharing! The low sugar/cancer correlation, are there any papers on this? It seems very interesting and I would like to learn more about it! 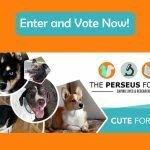 Here is some human info: http://fortune.com/2017/10/16/cancer-sugar-link-study/ and this documentary series, which I plan to review at some points covers diet and cancer extensively: https://thetruthaboutpetcancer.com/ It isn’t without controversy. 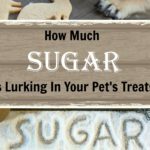 There are plenty in the food industry who rally against the idea of cutting sugar to address cancer, but since dogs really don’t need sugar or high amounts of carbs in their diet, I am all for cutting it out. 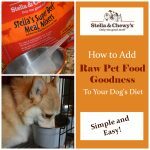 It sounds like your dogs love these natural chews. I like your idea of using a vice grip on the end of a chew to keep your dogs from swallowing the pieces when the get small. I never realized that dog treats had so many carbs and sugars. I had never looked for these in the ingredients, but now I will. It also was a good reminder that dogs with cancer, especially should not have sugar. I loved your post and your photos. I need to look up these horns ASAP, I’m always on the lookout for things that will clean my pup’s teeth and she’s always chewing on something! I love treats that only one ingredient!! I love Iceland and anything Icelandic – especially ponies. 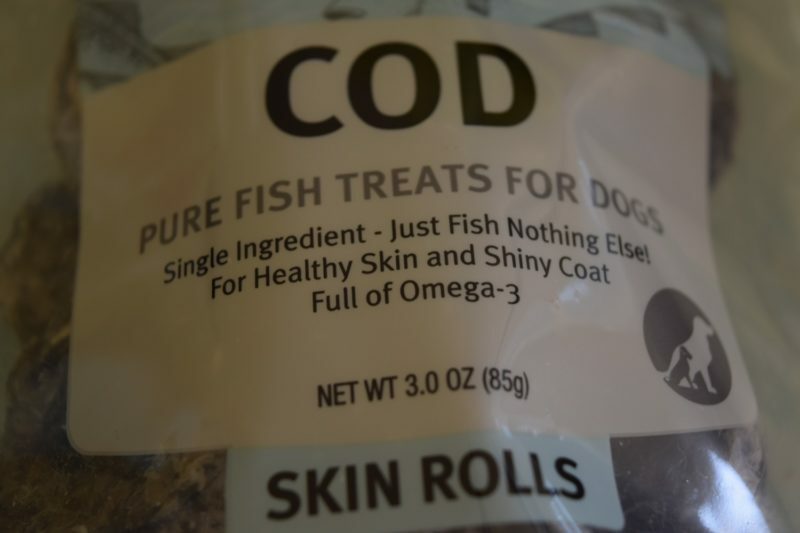 But seriously, I’d use these fish treats with my dog in a heart beat. He loves jerky style treats. But the horns just look a bit to much like horns for me. (Not that I’m chewing them obviously). Your vice grip idea is genius. I work a lot with veterinary cancer patients and hope Ty is doing well with his treatments. These look like an amazing, healthy and natural treat. I think my dogs would really like the horns, and I love the idea about the vice grips. Theo won’t relinquish anything and it is a problem. Ty and Eve are both adorable. 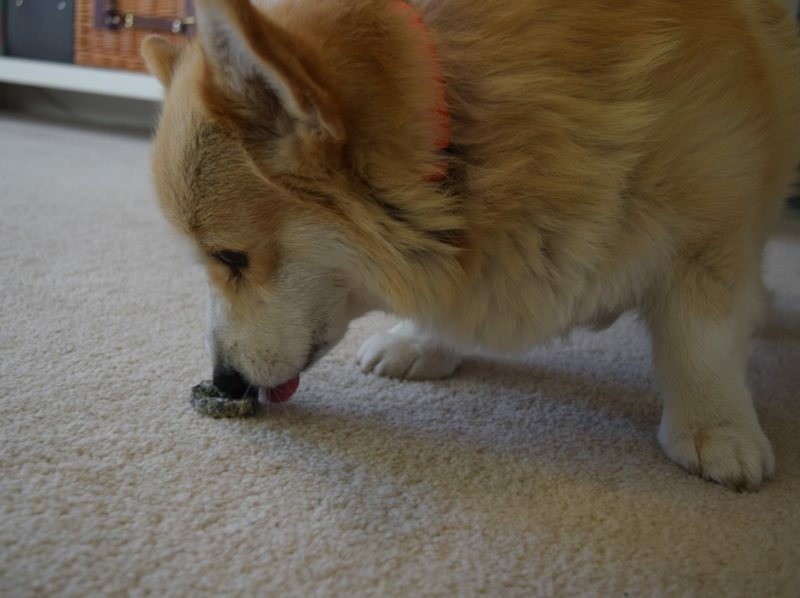 We are glad you found some treats that are good for them, and that they enjoy so much! What cool (and healthy) treats! We’re definitely on the lookout for those.